We approached Rock via Padstow(stein) with the aid of a little ferry which traverses the river Camel. The modest, but perfectly formed St Endoc Hotel houses Restaurant Nathan Outlaw and a rather lovely view awaited us with an aperitif on the terrace. 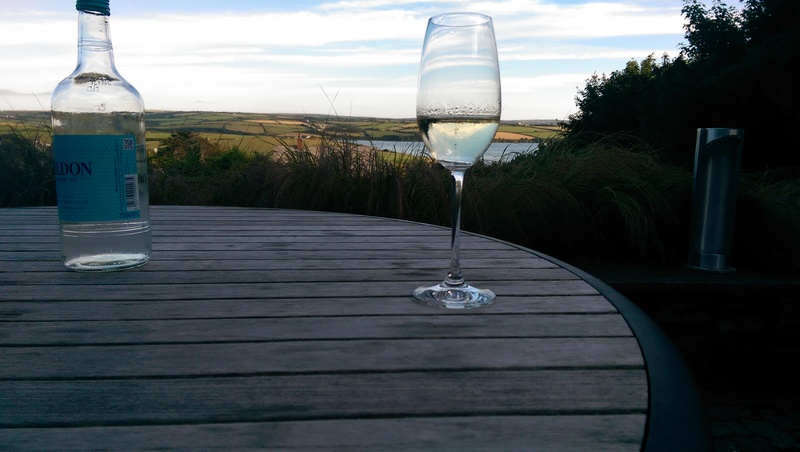 A glass of very fine sparkling Cornish from the delightful Camel Valley Vineyard was perfect to sit and gaze over the estuary. Adjourning to the dining room itself brings a compact, modern space that houses an intimate 20/25 guests every evening. There is a single tasting menu on offer priced at £99 with a wine flight at an additional £72. 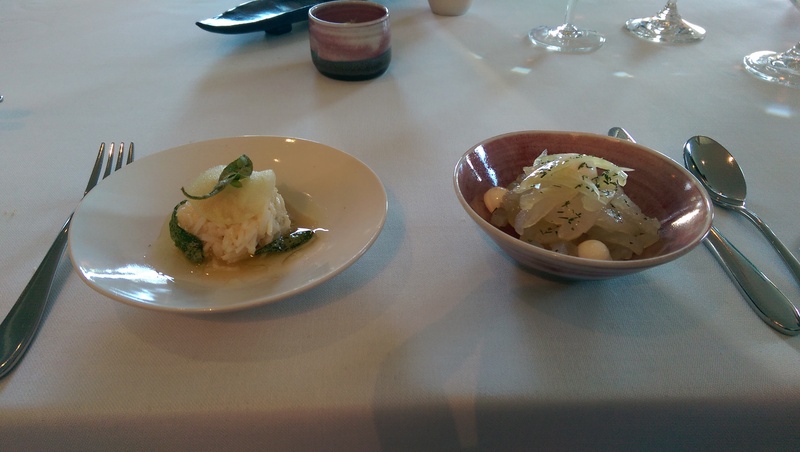 Two dishes arrived that were somewhere between an amuse bouche and a starter, I settled on pre-starter for the purposes of my caption. Moist white crab meat had been bound with a mayonnaise that was enhanced by the addition of the richer brown meat. The plate was finished with an injection of salty flavour from sea purslane, a foraged sea herb. The second offering was cured brill, the fish almost raw and super fresh. Its subtlety of flavour alongside fennel fronds was punctuated with punchy blobs of horseradish. I could have eaten a much bigger bowlful. 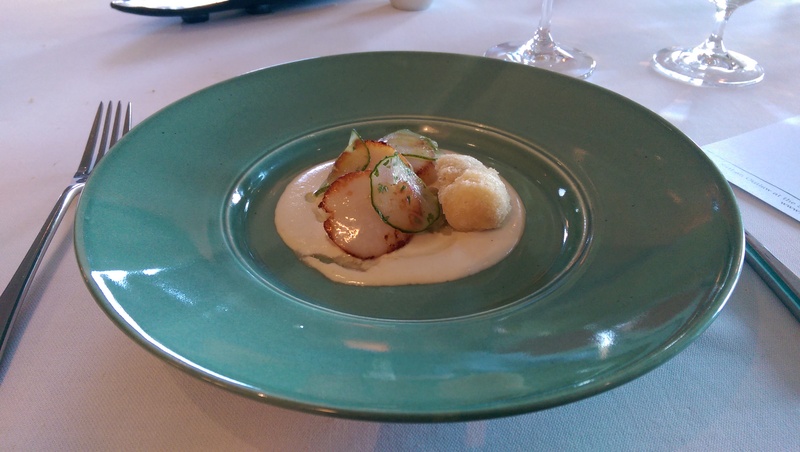 Expertly cooked scallops were next to arrive, a deep fried oyster bringing the dish to life with its salty taste of the sea balanced against the neutral tones of the cucumber. The next dish was an all round stunner. 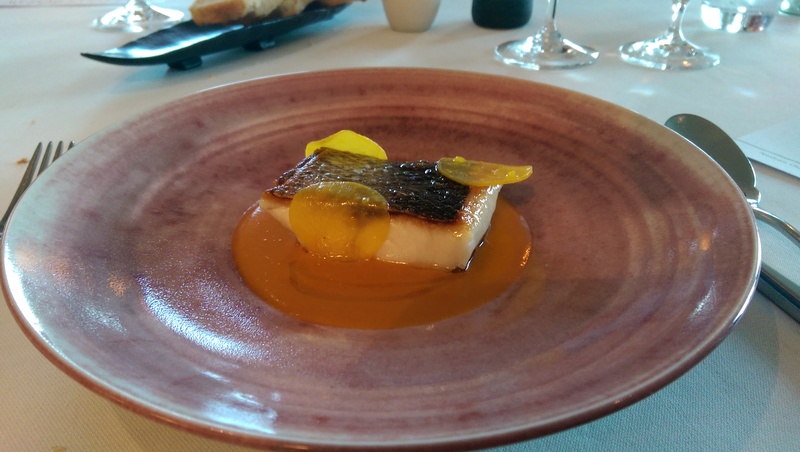 A fillet of bass, skin glistening in crisp perfection, sat on a vividly orange and fantasticly delicious Porthilly Sauce. From the waiter’s description Porthilly sauce is a bisquey number made with crabs from the nearby Porthilly bay. Regardless of origin you could give me a bowl of it with a baguette and I’d be happy for an afternoon. 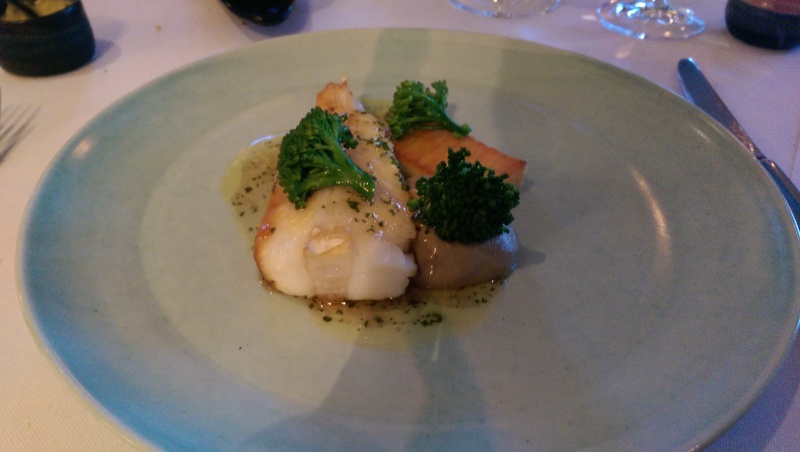 The main event, despite the bass, was turbot on the bone. The fish itself was again of great quality, the difference was some more diverse accompaniments. A little jug of buttery chicken ‘dressing’ and a mushroom ketchup were served alongside the fish. Where you might think these would do battle with the fish it was robust enough to stand up to them, the flavours enhancing the meaty turbot. The cheese course formed part of the main menu rather than an additional with a supplement as in some other tasting menus. It was also one of the most unique examples I have had. 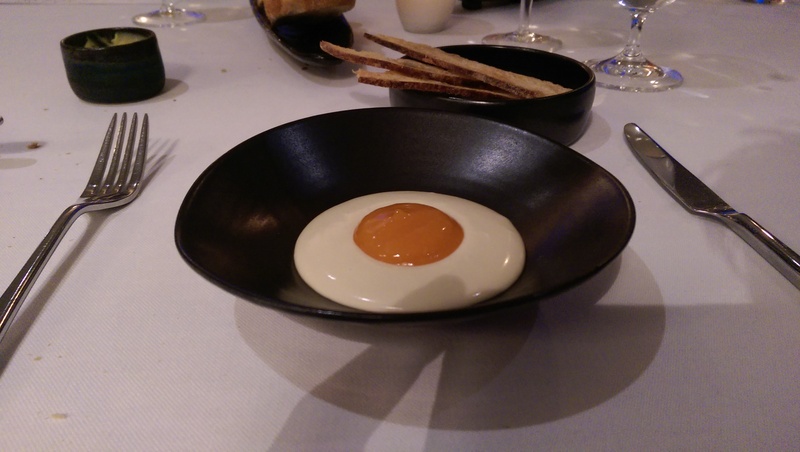 The Bath Blue cheese was almost a mousse with apricot chutney giving the appearance of a fried egg, resulting in a course that almost seemed comforting between the precision of the rest of the menu. 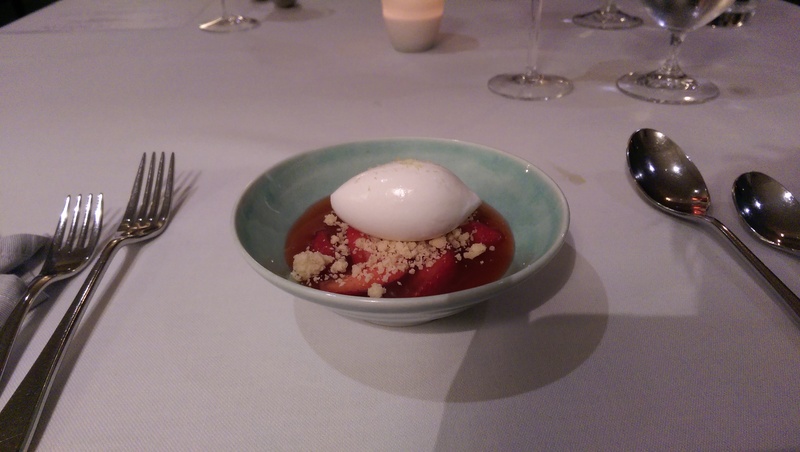 A strawberry and elderflower jelly kicked off desserts. It had the fresh, clean flavours you would expect and was seasonal to the warm summer evening of my visit. 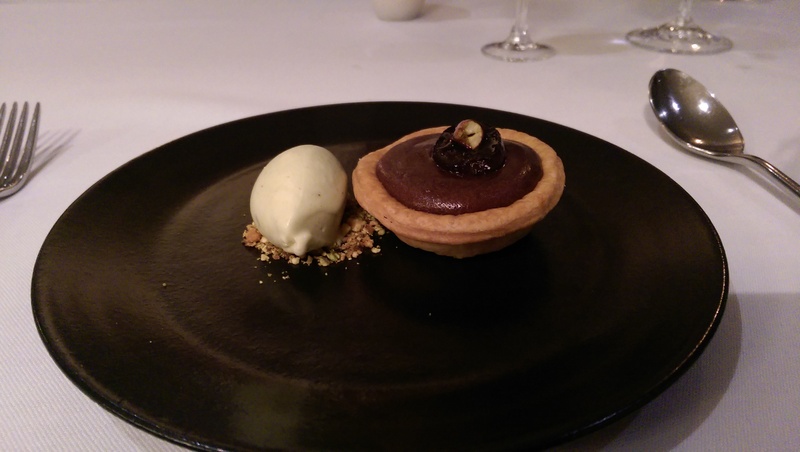 A chocolate, cherry and pistachio tart was a more complex little number. The flavours in the warm filling worked well together, an initial burst of fruit, richness of chocolate with an earthy nutty finish. Sadly the pastry itself let the tart down a little, not quite up to the high standard and finesse of other restaurants at this level. Service also was the right balance between formal and friendly, a charming front of house couple running the show well. Wine pairings were well thought out, nothing straying too far from the traditional, my favourite a Terrasse 2012 Keermont. Nathan Outlaw’s cooking philosophy really appealed to me. So often chefs can overcomplicate dishes and blind you with technique. It takes great skill, confidence and clarity of vision to deliver 4/5 ingredients on a plate to this level of flavour quality. A memorable meal and somewhere I hope it won’t be too long before I return.